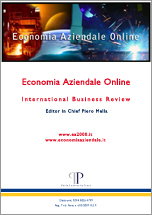 Business and Management Science International Quarterly Review. For Authors: Gain increased visibility and ultimately a citation advantage. For Readers: Keep abreast of the professional advancement free of charge. For Institutions: Minimize the scientific investment on knowledge access. Accelerate the development of a given field. Narrow the gap between the developed and developing countries.